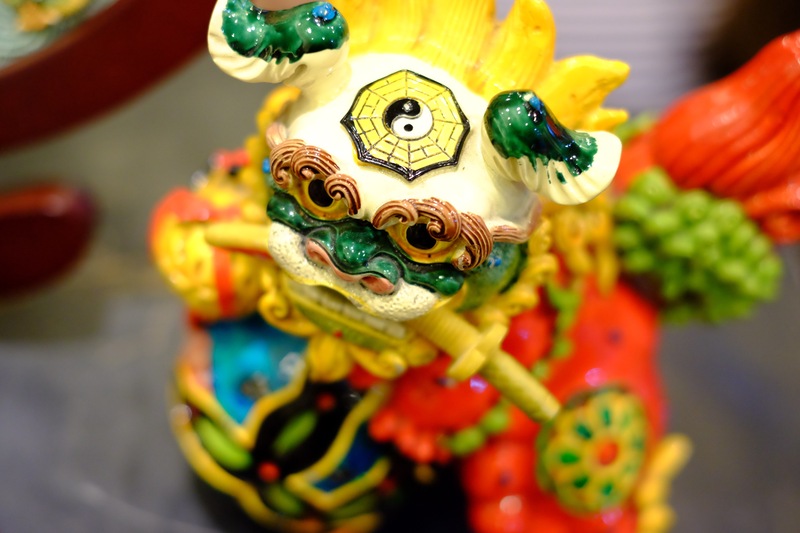 This is a Learning Adventure about China better than anything offered… anywhere! Our China culture itinerary offers students a geographically comprehensive look at both urban and rural parts of the country. Throughout this 13-day exploration, students will have the chance to examine the intersectionality of culture, history, demography and how it all fits into China’s modern reinvention. Each of the 5 destinations on the trip is a must-visit: Shanghai, the world’s most populated metropolis, Guilin, with its astonishing karst landscapes, Chengdu, panda capital, Xian, home of the Terracotta Warriors, and Beijing, China’s political centre. Arrive and transfer to the city. With a GDP higher than national average doubled and a life expectancy higher than that of the UK, Shanghai is one of the world’s most developed cities. After checking in, students go on a walking tour of People’s Square & Nanjing Road where, every day, one million people shop and upwards of a billion RMB (1,000,000,000,000) changes hands. We then go to the world’s biggest Starbucks! This roastery not only delivers its famous coffee but also some history and insight into how they make their signature blends (drinks not included). We finish the evening with a welcome dinner. In the morning, we join a cooking class to learn to make some of China’s most classic dishes then try them for lunch (already know what you want to learn how to cook? Just let our specialists know). Then we go to a highlight of the trip: an underground (we mean that both literally and figuratively) Propaganda Poster Museum that documents the public media published by the government from the beginning and throughout the cultural revolution. Finally, we say goodbye to Shanghai and board the night train to Guilin. After our scenic train journey, we transfer to Longsheng autonomous county for a hands-on lesson from our local guide about agriculture in China. We spend time walking amongst the quintessential rice terraces, visiting the Dragon’s Back (Longji) area. The night is spent in a cosy accommodation close to the foot of the terraced hills. The local inhabitants of this region are the Miao, Yao, Zhuang, & Dong indigenous peoples. They are well-known for their hospitality, love of singing, and richly embroidered traditional wear. This morning, we hike through remote rice-terrace-covered areas and stop at their small hamlets and breathtaking viewpoints. We then transfer to Yangshuo, a town nestled amongst impressive karst peaks, famous for drawing backpackers from around the world. Students will be cooking up their own dinner at a local cooking school. After checking in, we explore West Street’s lively evening bazaar. Kick-off the morning with a pleasant bike hike through a scenic riverside cycling route. Afterwards, students embark onto the water on bamboo rafts(the Guilin equivalent of a gondola ride) to appreciate the surrounding scenery. In the afternoon, we head to Moon Hill an iconic symbol of the Karsts in the area. After a short but challenging hike, we head to the underground mud caves for some fun and relaxation! Following a shower, we transfer to the airport to catch our flight to Chengdu. Cycle along the river as you take in the glorious scenery, before embarking on a bamboo raft ride to experience it up close. Visit the iconic Moon Hill and hike to the underground mud cave for an afternoon of fun! Clean of at the hostel before heading to the airport for your flight to Chengdu. Recover from the night previous’ travel with a leisurely coach transfer to Leshan. Here we see the Leshan Giant Buddha – the tallest stone Buddha in the world and by far the largest pre-modern statue in recorded history. Students hike down the side of the statue to its feet, then climb back up to its head. We will be able to see the sluicing channels that have preserved the Buddha as well as admire its sheer size and architectural genius. (Ask our specialist about our Leshan Buddha worksheet). In the evening we visit a traditional teahouse & performance hall. Best known for its famous face-changing act, students are treated to a variety of short Sichuan Opera performances. Day 8: So Many Pandas! A comprehensive trip of China would not be complete without seeing its national animals – Pandas! 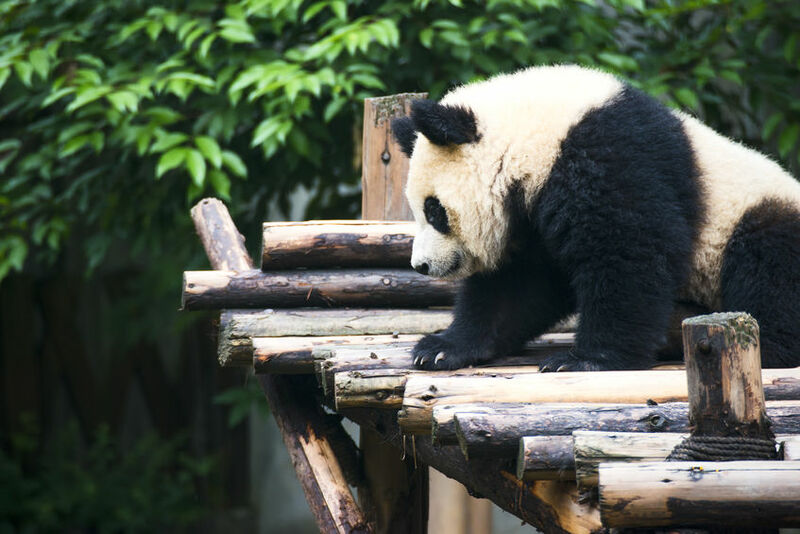 Students visit Chengdu’s Panda Breeding Research Centre to see China’s national animal and learn the successful conservation project that has brought them back from the brink of extinction (interested in a whole day of service work helping the Pandas? Let our specialist know). For lunch, students try China’s favorite meal: Sichuan hotpot: a boiling, spicy, fragrant broth used for self-cooking an assortment of meats and vegetables. A China-must-try! (non-spicy version available). Next, board the high-speed train to Xian which travels at an average speed of 350kmph (that’s 217 miles-per-hour!). Drive outside the city towards the Terracotta Warriors. One the world’s most mysterious (just 1% of the whole complex has been excavated!) necropolises and a scientific marvel (ask our specialists about the worksheets we have available for this visit). After checking into our accommodation, we go to Xi’an’s historic Muslim Quarter market with all its sights and sounds. This is where the traders from across the Silk Road first settled in China. We make a stop at the Great Mosque of Xian, a mosque with over five-hundred years of history that is still in use today. Students can see a unique expression of blended Chinese and Islamic styles. Next, we sample the unique flavours of Hui Muslim food before finishing the day with an evening stroll to see the Drum and Bell tower lit up at night. Our first stop is at the Great Wild Goose Pagoda: deemed a UNESCO World Heritage Site for its religious and architectural significance. Then, we go to a local museum for an authentic calligraphy lesson. In the afternoon, we do the absolute must in Xi’an, the bike ride around the top of Xi’an’s ancient City Walls. They are China’s best-preserved city fortifications and an excellent way to compare and contrast the old historic city, with the soaring skyscrapers of modern Xian. Board the night train headed for China’s sprawling capital – the largest city in the world – Beijing. The first activity today is a Kungfu lesson in a local spot popular with Taichi practitioners. After an intense morning, students will relax with some sightseeing at the Temple of Heaven. Originally where the emperor participated in religious rites, the complex is a stupendous feat of classic imperial Chinese architecture and was thus named a UNESCO World Heritage Site. After a tour, students engage in a traditional tea ceremony at a park within. Finally, we visit Tiananmen Square, the Forbidden City, and Jingshan Park for a panoramic view of no less than three World UNESCO heritage sites. 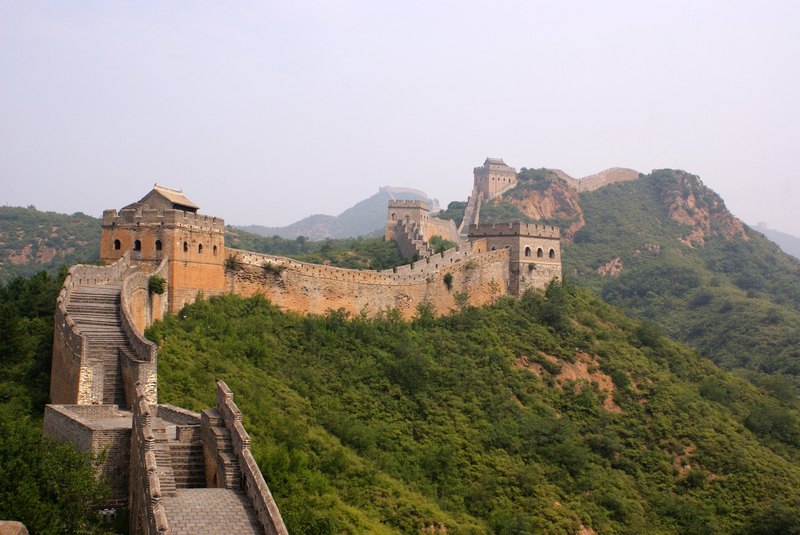 Students come face to face with no less than 8 UNESCO World Heritage sites including the Terracotta Warriors, the Great Wall and the Forbidden City.